At Curley Park Rangers we pride ourselves on our record in Safeguarding and adhering to the kite mark for the protection of children in sport. Whether you are a young player, referee or volunteer helper you are assured that Curley Park Rangers insist on the highest levels of respect across our club and also from visiting clubs and teams. 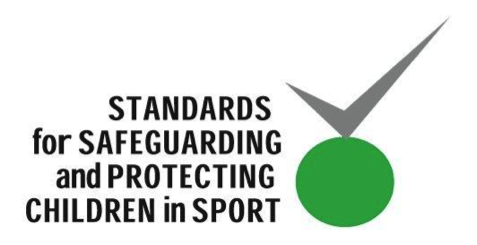 All coaches working with under 18 teams in FA Charter Standard Clubs are required to have a ‘Safeguarding Children’ certificate as part of the FA Charter Standard Health Check. The certificate is updated every three years. All coaches at CPR comply with this regulation. ‘Children are not mini-adults. They see life through a different lens. They have different values…’ We at CPR will not treat children as mini adults. Play is the best means of learning. Above all, youngsters should have fun. The essential elements of grassroots football are relationships, team spirit and fun. The concept of learning through play while being guided by a coach-educator is a specific approach designed to reach out to the young and create a process to connect to the future. The coach-educator must be dynamic, uncomplicated, passionate and motivational and must always respect the children’s physical, physiological and psychological characteristics. RESPECT outlines that a certain standard of organisation and behaviour is expected from everyone in football – whether as a league official, player or parent, club official or coach, and also the referee. RESPECT is all about creating a fun, safe environment and its core principles work in tandem with Safeguarding Children. 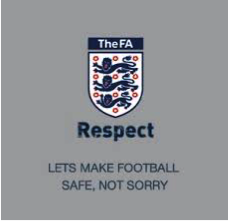 Let’s make football safe – not sorry. Safeguarding is everyone’s responsibility – we make sure all our coaches are familiar with the CPR policy and the procedures for reporting a concern about the welfare of a child. 1. If you are worried about a child then you need to report your concerns to the Club Welfare Officer(child.welfare@cprfc.org.uk).